Even hoops royalty needs the perfect top to post up in, and the LeBron James x John Elliott Men's Long-Sleeve T-Shirt delivers. 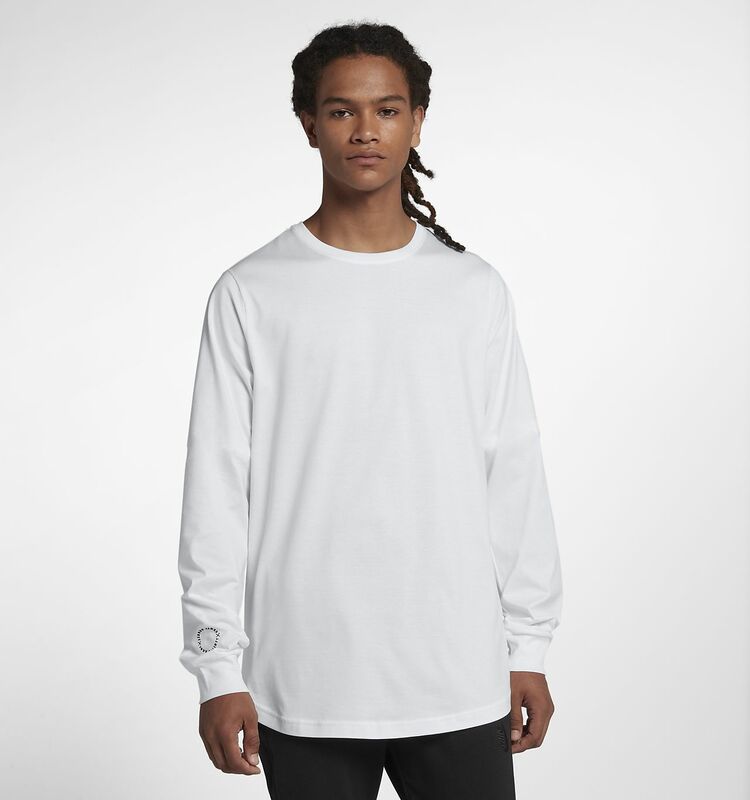 Incorporating the slim, elongated profile that LeBron loves and John Elliott is famous for, this premium cotton top has ribbed cuffs for a clean, modern finish. Even hoops royalty needs the perfect top to post up in, and the LeBron James x John Elliott Men&apos;s Long-Sleeve T-Shirt delivers. Incorporating the slim, elongated profile that LeBron loves and John Elliott is famous for, this premium cotton top has ribbed cuffs for a clean, modern finish. I just feel with Nike lab items the overall quality should feel better. But stitching was loose on the logo and overall it might as well have been a long black t-shirt from anywhere.